Write a news story, convince the class that it's real. Your story can be real or fake. 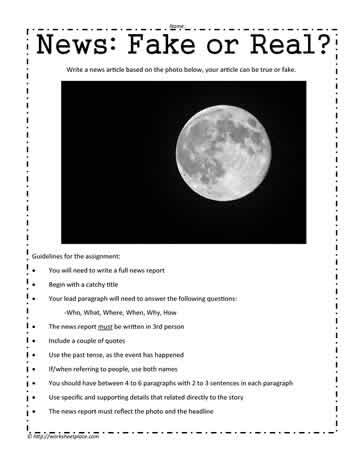 Media literacy worksheets for critical thinking to address the fake news.